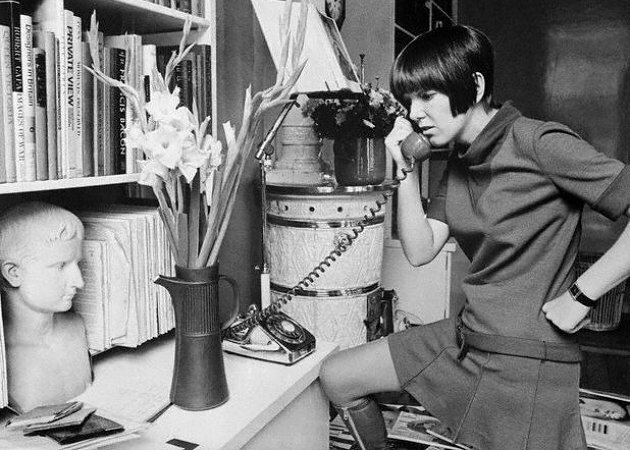 Born 11 February 1934 in Kent ( England ) Mary Quant was an English fashion designer, one of the many designers who took credit for inventing the miniskirt and hot pants. Born to Welsh parents, Quant studied illustration at Goldsmiths College before taking a job with a couture milliner. She is also famed for her work on pop art in fashion. The skirts had been getting shorter since about 1958 – a development she considered to be practical and liberating, allowing women the ability to run for a bus. The miniskirt, for which she is arguably most famous, became one of the defining fashions of the 1960s. The miniskirt was developed separately by Andre Courrèges, and there is disagreement as to who came up with the idea first. Mary Quant named the miniskirt after her favourite make of car, the Mini. 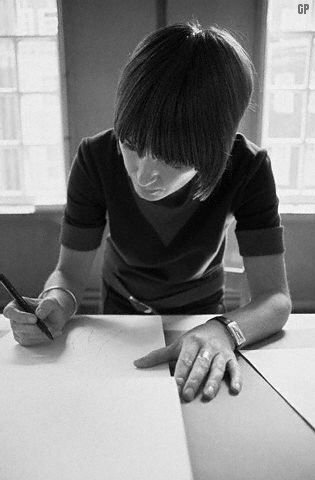 In addition to the miniskirt, Mary Quant is often credited with inventing the colored and patterned tights that tended to accompany the garment, although these are also attributed to Cristobal Balenciaga. 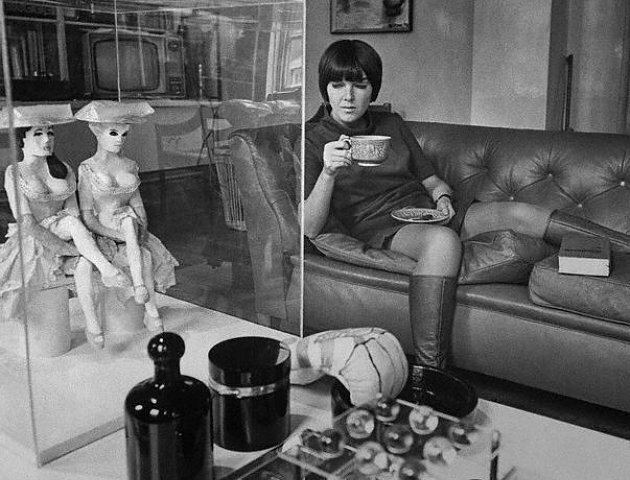 Regardless of whether she invented these items, Quant was one of their major popularisers, largely thanks to the fact that Bazaar was a popular haunt for the fashionable "Chelsea Set" of "Swinging London". By 1961, Quant had opened a second Bazaar in Knightsbridge and by 1965 she was exporting to the USA. To keep up with demand, Quant went into mass-production, setting up the Ginger Group. 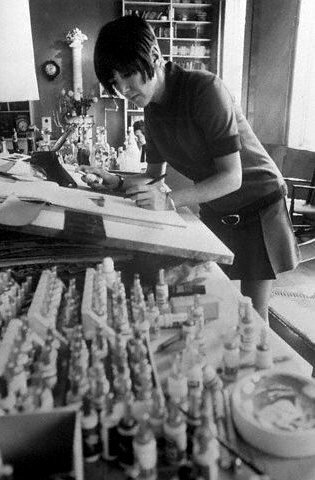 Quant's popularity was at its peak in the mid 1960s, during which time she produced the dangerously short micro-mini skirt, "paint box" make-up, and plastic raincoats. She was described as being the leading fashion force outside Paris. In 1970 Bernard Levin called her the "High Priestess of Sixties fashion". At the height of her fame in the 60s, she anticipated that pubic hair would be a "fashion emphasis" in the coming decade, a suggestion that was scorned by many, though, as Levin observed, "none was so sure of the basis of his ridicule as to deny the possibility". 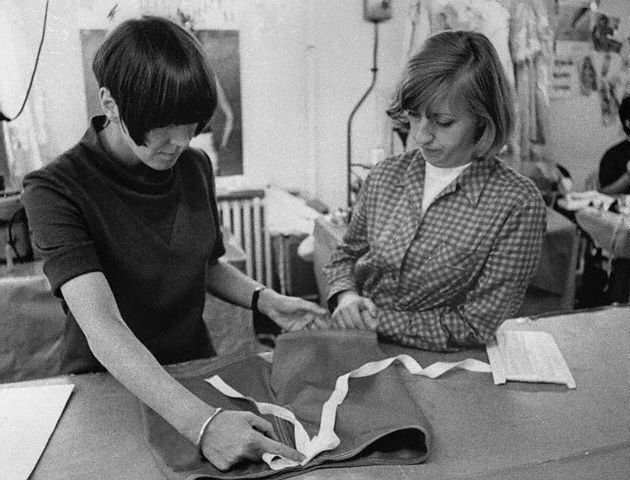 In 1966, Quant was appointed an OBE for services to the fashion industry . In the late 1960s, Quant launched hot pants, which was her last big fashion development. Through the 1970s and 1980s she concentrated on household goods and make-up.